As terrified children scream in the background, an angry mother appears to attack a school bus driver, according to a newly released video. A little girl is heard yelling, “Mommy! 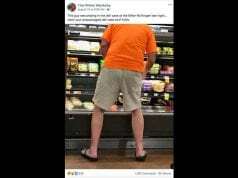 Mommy!” as the women grapple with each other near the driver’s seat, the footage released by the Cincinnati Police Department shows. Kiesha Shannon, 28, has been charged with misdemeanor assault. The driver, Deamber Martin, was treated for minor injuries following the October incident. Shannon, according to a police report, had blocked the bus with her car, and then pried open the bus doors to get inside. She allegedly was enraged because Martin closed the doors as Shannon was hugging her 5-year-old daughter. “That was just so ignorant. Did you see me coming on the bus though, right?” Shannon can be heard screaming on the video. “You see me getting my baby on this bus though, right? You see me giving her a hug though, right? And if I punch you in the f*****g face, you going to be sorry as hell. “Get on the bus!” she shouts, apparently to her daughter. The kids onboard are heard sobbing and yelling as the women appear to fight. Some cower behind their seats. 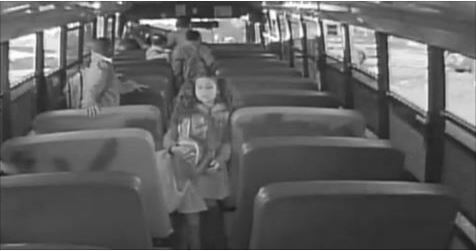 One little girl is inconsolable and runs toward the back of the bus, where an older girl holds her close and comforts her. Two adults are seen boarding the bus and trying to intervene. “Come on, come on! These babies need a bus driver, these babies need a bus driver!” one woman calls out on the tape. The driver feared not only for her safety, but for the safety of her charges, she said. “I was thinking, ’Oh crap. The bus is running, the kids are everywhere,’ but my life is in danger, you know, I’m in danger, we’re all in danger,” Martin told WLWT-TV. “No bus driver should ever have to experience what I went through,” she said. Shannon has pleaded not guilty.